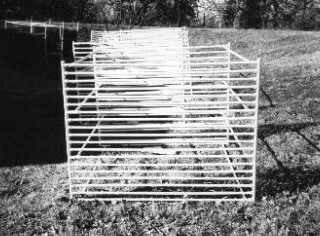 Rectangular box made of PVC pipe. 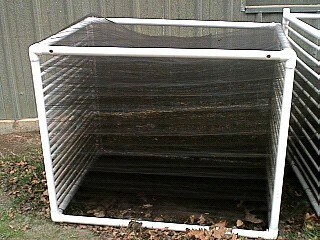 Horizontal layers of plastic bird netting .25 mesh, 2" - 3" between layers. 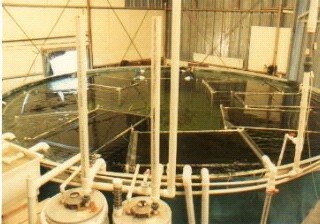 In tanks, use a high protein sinking feed such as Rangen Shrimp Grower or Trout Feed. Feed at least twice a day, morning and evening. If feed accumulates on the bottom of tank, reduce the amount of feed. If there is no feed on bottom of tank increase the amount of feed.